I wouldn't normally wear all of these together at the same time, this look is just for display purposes! I also don't wear the Square solitaire ring as a midi ring but it wouldn't go any further down my finger and I didn't want to put both of the big rings on my ring finger. I've been lusting after several rings from Dixi so when they offered 50% off certain items for hitting a follower milestone I took the opportunity to grab the Silver wishbone midi ring (£8). I was a little concerned it might not fit very well as a midi ring on me as I apparently have unusually skinny fingers, but it fits perfectly either quite close to the knuckle on my ring finger or higher up on my index finger. 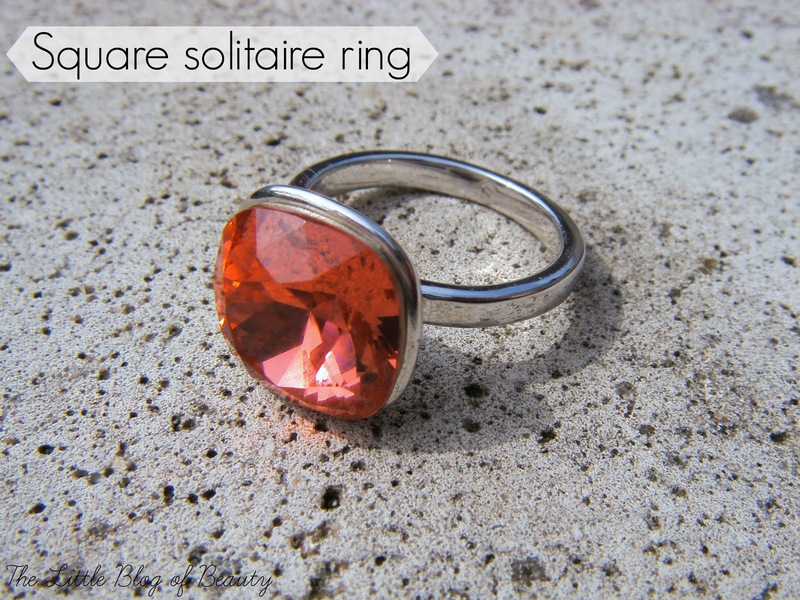 This is available in silver plated, rose gold plated or sterling silver (£14). Both of the Lola and Grace rings I actually won (I'm a very lucky girl!). When Lola and Grace first launched they had a competition on Facebook that included something similar to a slot machine that you could play on so many times a day and I won several items including the Square solitaire ring (£29.90). The red stone I have is not available anymore but there are nine colours to chose from. 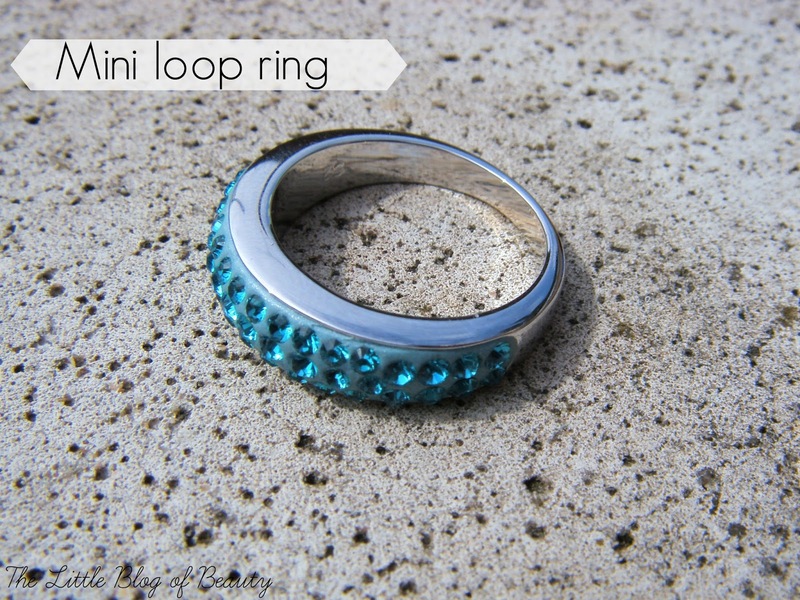 The Mini loop ring (£29.90) I won in a competition on Twitter. To enter you had to link an item you'd like to win and so many people were picked to win their chosen item. Although I do like this ring I find it a little too wide as in I can't put my fingers together with it on. You get used to it after a while but if you have a boyfriend like me who likes to squeeze my fingers together every so often when he's holding my hand then it can be a little painful. This is also available in nine colours, including my blue turquoise shade. 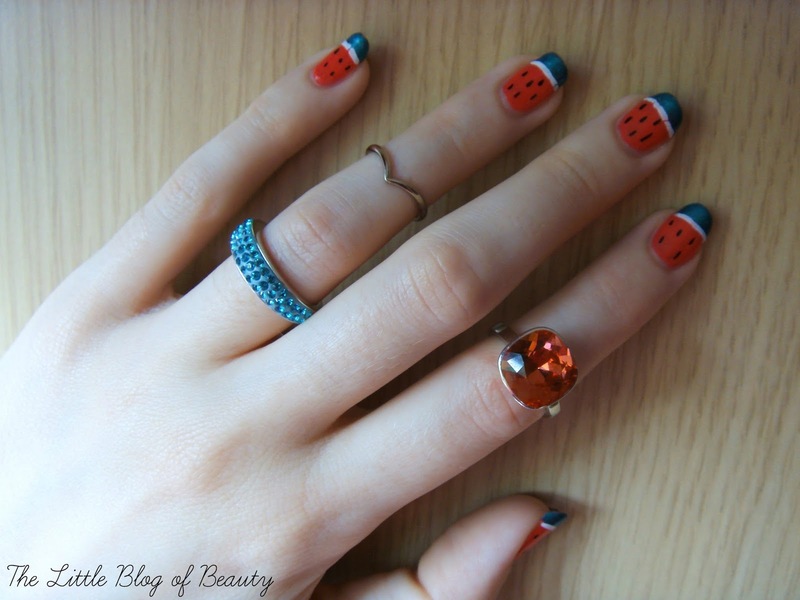 Fab rings but seriously, you have to read and watch Lord of the Rings!! It's something that's never really appealed to me at all but I expect if I at least gave it a chance it wouldn't be so bad! Ahhh your nails!! I love the watermelon design. 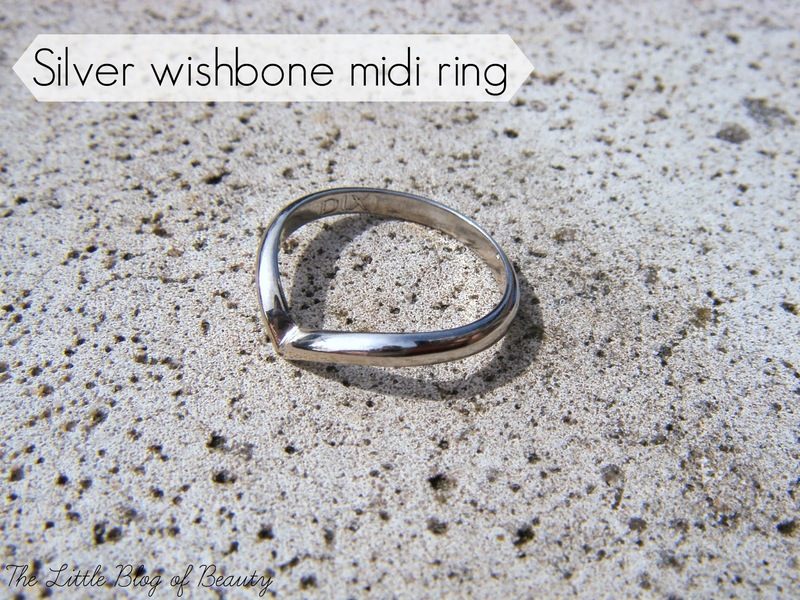 The Dixi midi ring is so nice, I've been wanting one with the wishbone same!